Home | News | Contemporary vs. Traditional: Which Ceramic Tile Best Suits You? Contemporary vs. Traditional: Which Ceramic Tile Best Suits You? 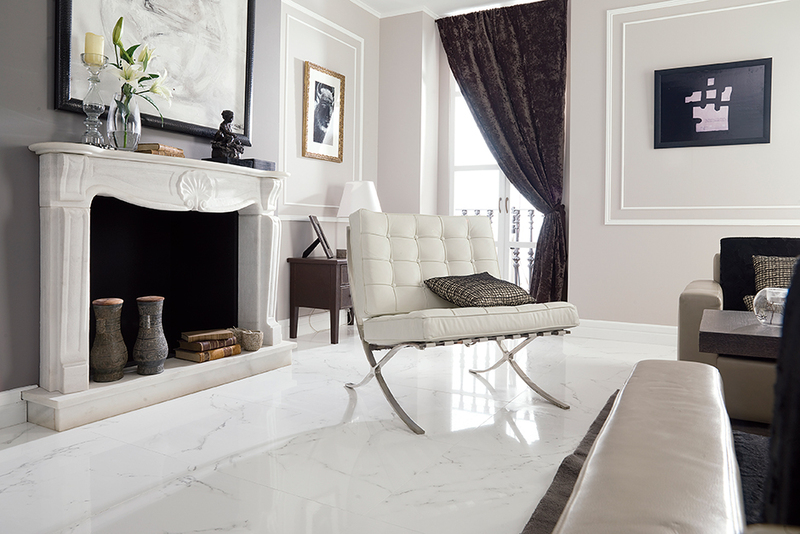 By exuding luxury and setting the trends, Porcelanosa’s ceramic tiles have been leading the industry for decades. When it comes to design styles, ‘Contemporary’ and ‘Traditional’ set the standard. Attention to detail is paramount in any space as well as an appreciation for quality. Modern or classical? Clean or refined? Here is a more in-depth look into Contemporary vs. Traditional ceramic tiles and how to determine which style best suits you. Contemporary tile can be both visually expressive and refreshing. 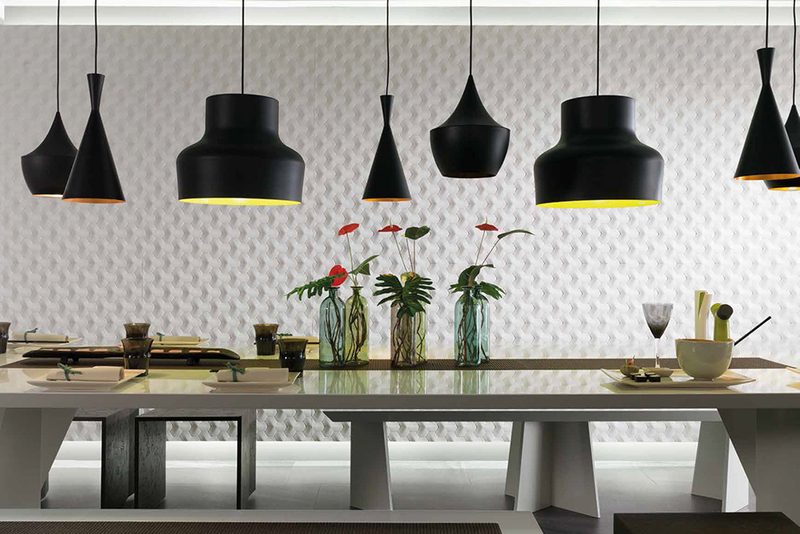 Commonly described as: sleek, fresh and crisp, Contemporary tile sets the tone for fine interiors of luxurious design. By incorporating on-trend elements, Contemporary ceramic tile designs are minimalistic in their approach. Go ahead and push the envelope by constructing an accent wall in a textured pattern such as ­­­­­­­Hannover Marfil or create a dramatic and unexpected floor with our Arizona Antracita. 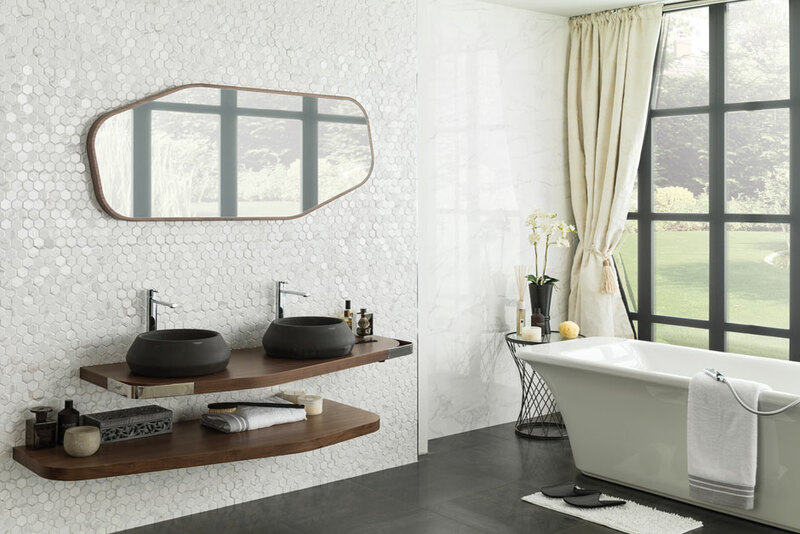 Contemporary tile is chic and marked with class. Here, a truly unique bathroom with a clean aesthetic is accomplished by embracing color in a playful and unique manner. 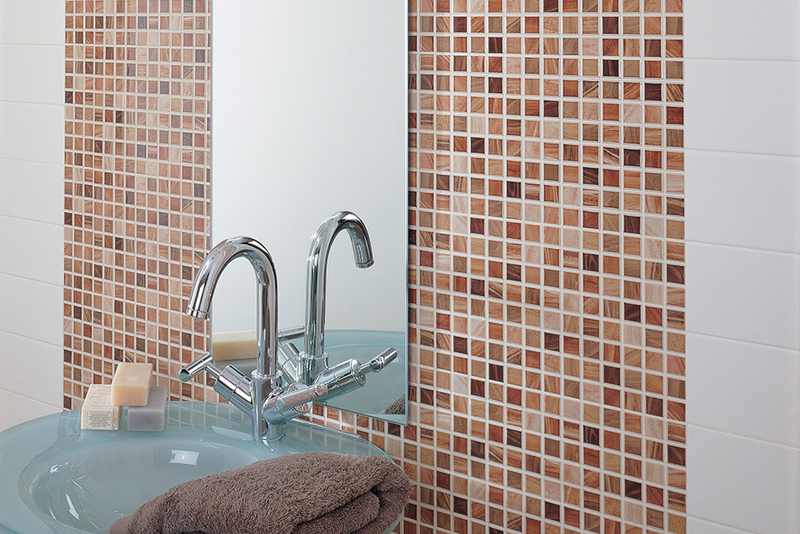 Our Eidos Ambar tiles are incorporated in a ceramic mosaic wall, which also creates a sense of interior depth. 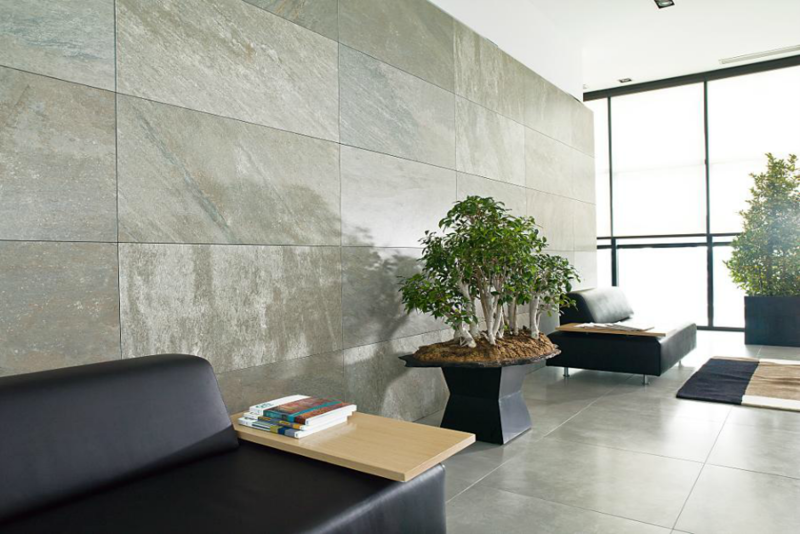 Our Contemporary tiles help maintain an overall atmosphere that is both modern and serene. What an ideal way to unwind after a long day by taking a bath in this relaxing and luxurious oasis. Traditional tile gives you a true sense of the feeling at home. By using simple color palettes, one can easily achieve an elegant and classic look with timeless authenticity. One can never go wrong when selecting a quintessential white hexagonal pattern with subtle mixes of a soft grey like our Forest Carrara Blanco as a complement to any bathroom. Domus White is refined beauty at its best. There is a genuine sense of ease and appreciation for Traditional tile. Our Carrara Blanco Brillo tile exudes sophistication. This stunning interior is of unparalleled beauty and craftsmanship. By showcasing our high-quality ceramic floor tile, this room fashions a luxurious atmosphere of sheer elegance that is both warm and inviting. The end result is a classic floor that complements your home and will last a lifetime. Porcelanosa’s superior performance and technical properties are key factors in developing and enhancing our brand. Whether Contemporary or Traditional, our ceramic tiles are of uncompromising quality and the latest in European design. 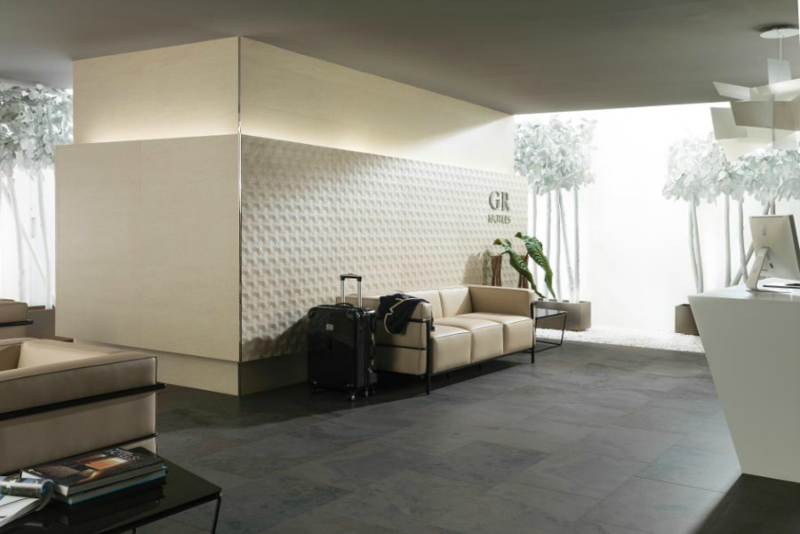 Versatile and easy to maintain, our tiles are perfect for both commercial and residential spaces.